"NIHONGO Partners" is a program through which Japanese citizens are stationed in various parts of Asia for six to ten months as educational assistants for Japanese language teachers at local middle schools and high schools, and to introduce and share the wonderful aspects of Japanese culture with the community. 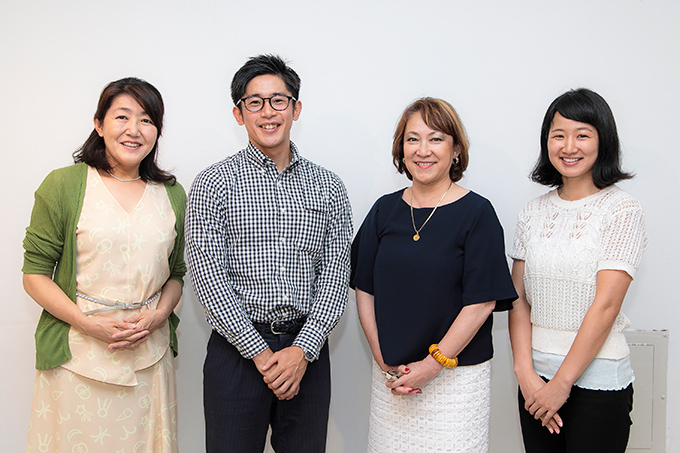 The program has spread to a total of twelve countries and regions since it began in 2014, and has helped numerous Japanese participants to become acquainted with people and culture abroad. 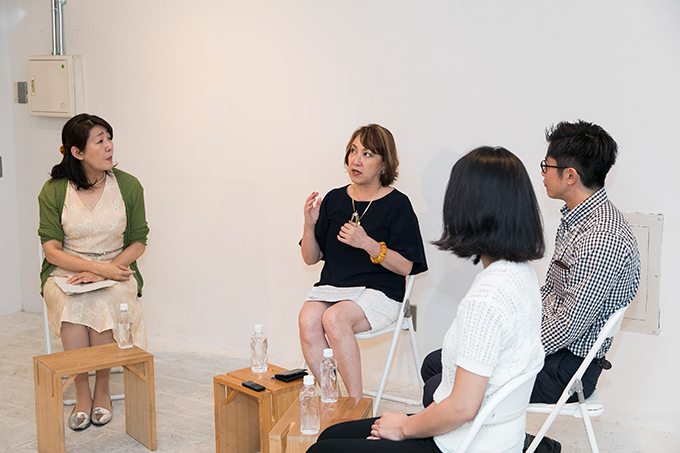 The "NIHONGO Partners" Roundtable Discussion, held at Little Tokyo in Kiyosumi-shirakawa on July 27, 2017, was organized as an opportunity for the general public to hear from and speak directly with the "NIHONGO Partners" alumni. Toko Shirakawa, a journalist known for spreading the concept of konkatsu, or "marriage hunting," served as the moderator, and three alumni--Mitsuko Takahashi, who was one of the first to be stationed in Thailand, and Masanari Nakamura and Nanae Nagaya, who were both stationed in Indonesia--each spoke at length about their experiences during the "NIHONGO Partners" program and their lives afterwards. Shirakawa: My name is Toko Shirakawa. I am a journalist and my area of expertise is the issue of Japan's declining birthrate. I am also a visiting professor at Sagami Women's University. Today we will hear from three members of the "NIHONGO Partners" project who were assigned to Southeast Asia. I personally experienced life in Jakarta, Indonesia from 1998 to 2002. When I went to Indonesia I knew next to nothing about the country; I only knew how to greet people-- selamat pagi (good morning)--which was a phrase I picked up from a textbook that I read on my flight there. However, I very much enjoyed living in Indonesia and it gave me a positive impression of Southeast Asia. I understand that each of you spent between six and eight months on your assignments. How did you enjoy your new home? 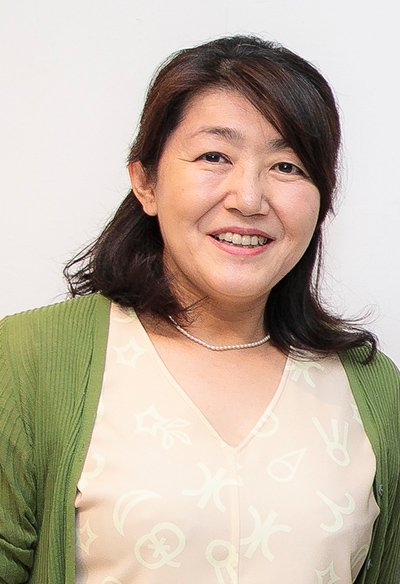 Toko Shirakawa, who served as the moderator of the roundtable. Takahashi: My name is Mitsuko Takahashi. I joined this program in its first year, and I was assigned to Chonburi Province, Thailand for six months between 2014 and 2015. Chonburi is approximately two to three hours from Bangkok by car, and is well known for Pattaya Beach. I was assigned to the inland town of Ban Bueng, which is a rural area, but the roads to Chonburi are well developed, and many Japanese companies have factories there. 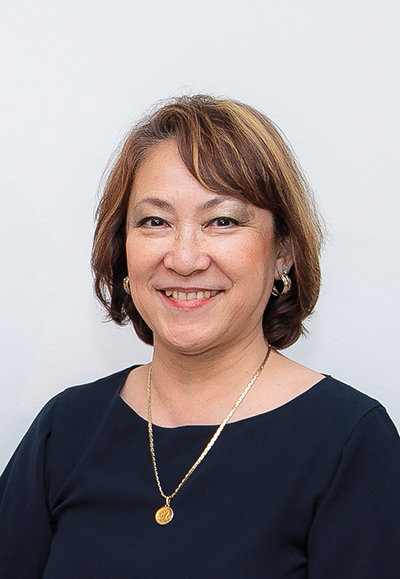 Mitsuko Takahashi was assigned to Chonburi Province, Thailand, in the program's first year. Nakamura: I am Masanari Nakamura. I was assigned to Sidoarjo, Indonesia. From Jakarta, it's a one-hour flight followed by another one-hour car ride. The city is not yet developed, and the tallest buildings are only about five stories high. Masanari Nakamura was assigned to Sidoarjo, Indonesia for eight months. Shirakawa: When measuring the level of urbanization in Asia, the number of floors in the local shopping center is perhaps a good indicator (laughs). There were many skyscrapers and massive shopping malls in Jakarta. Nakamura: A building with five floors was considered to be a very tall building in Sidoarjo (laughs). Takahashi: There weren't even any buildings like that in Ban Bueng. Shirakawa: I expect the audience now has a better picture of what each city was like. Nagaya: I am Nanae Nagaya, and I just returned to Japan this past March. I was assigned to Yogyakarta, Indonesia. You could say it is a bit like the Kyoto of Indonesia. The mall there was about three stories high (laughs). Nanae Nagaya was assigned to Yogyakarta, Indonesia for seven months. Shirakawa: Had any of you lived overseas before participating in "NIHONGO Partners"? Takahashi: I had lived in Thailand and three other countries for a total of twelve years. Nakamura: I spent one year in the U.S. as an exchange student in my third year of high school. Nagaya: I spent just six months studying in Denmark when I was a university student. Shirakawa: It seems Takahashi is the only one with prior experience living in Southeast Asia. What surprised you when you first visited Southeast Asia? Nakamura: Indonesia is a country with many devout Muslims, so of course you'll find that there are places to pray wherever you go. At 5 o'clock every morning, you get woken up by the call-to-prayer that booms from the loudspeakers across the city. That was a big surprise for me. Nagaya: For me it was the traffic situation. Potholes were a given, so you had to look down to be able to walk safely. There were also an unbelievable number of people on motorbikes, and nobody seemed to follow any traffic rules. For those of you getting ready to go, remember to always look left and right before crossing the road (laughs). Takahashi: I was surprised by school life in Thailand. In fact, there were many transgender people among the teachers and students, and they were fully integrated into the school community. It was explained to me that transgender people became socially accepted over the past 30 years or so, and while there are still families with conflict between the parents and children over the matter, the emphasis in schools is to respect the wishes of each person and help them grow as individuals. For example, I helped out some students who were competing in a Japanese speech contest, and one of the students spoke about his best friend whom I assumed was a boy so I instructed him to use terms like "he" and "him." But it turned out that he was actually a "she." So there were times when my advice wasn't exactly "correct." Shirakawa: So, there were differences in awareness in surprising places. Takahashi: The school's dance teacher was male, but transgender. When I said that my replacement would be a Japanese man, he said "I'm so happy!" Shirakawa: Before going to Thailand and Indonesia, each of you received four weeks of language training. Were you able to hold conversations right away when you arrived? Shirakawa asks about the local language. Takahashi: I had difficulties with the Thai pronunciations, which made me unable to communicate at first. After I learned how to read Thai, my pronunciation improved and I gradually became better at communicating. Nakamura: I had difficulty with the language, but many younger Indonesians could speak English, so for the first three months we would mix the languages to communicate, almost like Lou Oshiba, a Japanese entertainer known for his quirky speaking style of mixing Japanese and English. I learned how classes were taught for the first three months, and felt that I was finally able to do what I wanted in the last three months. Nagaya: I learned the basics of Indonesian for daily life, but it wasn't adequate for the level required in the classroom. However, as Nakamura said, I got used to it after around three months. Shirakawa: I see. Next, tell me what you liked about the areas you were in. Nagaya: I felt that people were closer to each other. This sort of thing would probably be seen as an annoyance in Japan, but whenever I had to stay home because of a cold, the teachers and students would visit me every day. I must have looked awful, so on one level I didn't want them there, but the way they spoke to me compassionately was so reassuring, like when they offered me dinner. Everyone was really open, although I suppose some may think it a bit too much so (laughs). Nakamura: I discovered the excitement of jumping into the unknown. In Japan, you usually predict the outcome, to some extent, when you plan on doing something. But about three months into being stationed in Indonesia, the teacher said to me, "We've finished the textbook, so feel free to conduct the class however you like." From that point, for about a half year, I had complete freedom to plan lessons. Nakamura: It was my first time to plan classwork, so I made sure to carefully plan out each day. It was a great experience to watch the reactions of students and adjust lessons accordingly, to address issues the best I could. For example, one of the topics I would have my students write on was "Ways to ask a girl for her email address" (laughs). I also had my students memorize scenes from dramas and anime in Japanese. Their reaction to a promotional video by Ichikawa Ebizo, a Japanese kabuki actor, was quite good. They also liked the more action-oriented variety shows because Takeshi's Castle (a variety show broadcast in the late 1980s with viewer participation) was popular in Southeast Asia. Takahashi: Thailand also had a sort of unpredictable feeling to it. There were hardly any fixed schedules at the schools in Thailand, so on any given day they might suddenly announce a school trip, or that classes were cancelled. It was also fascinating that religious activities were held regularly at the schools. Monks from the local temples would frequently come to ask for alms, and the students would dress up on those days and give donations. It was really interesting; I even gave monkhood a try for four days. Takahashi talks about visiting a temple in Thailand. Shirakawa: That's amazing! Did you stay at a temple? Takahashi: Yes, but I didn't shave my head, of course, and you would normally stay for a longer time, like a month or a year or so. It's required that you meditate several times a day to rid yourself of distracting thoughts and attachment. It was a really good experience. Shirakawa: Was there anything that you had trouble adjusting to? Nakamura: For me, it was the food. In Indonesia, all the food is either sweet or hot and spicy. I would regularly get an upset stomach after eating at a food stall, and of course when that happened, people would say, "you need more nutrients," and then feed me food that was too sweet again (smiles wryly). I would sometimes go out to eat at Kentucky Fried Chicken and it tasted so good! Shirakawa: I've heard that your living expenses were paid for, at about 100,000 yen per month depending on the country. Was that enough money? Nagaya: I didn't want for money at all during my assignment. I would pamper myself by going for a massage about once per month, and it was extremely reasonable at only 1,500 yen per hour, even for a relatively high-grade place. I wanted to share real Japanese culture, so after school, I would invite the teachers and students over and prepare Japanese meals for them. All food expenses were covered, on top of the money for activities, so I didn't pay for it. I could live normally and even go on short trips on my days off. Shirakawa: How did each of you carry out your lessons? For example, Nakamura just explained how he had to come up with his own curriculum. Takahashi: I also ran my class in cooperation with a Thai teacher. The teacher could barely speak Japanese, but I couldn't speak Thai either, so we communicated with each other carefully and came up with ideas like basing lessons on Japanese games. We were given freedom to plan and adjust the classwork. Shirakawa: That's a high level of freedom. Takahashi: It was a lot of fun because we weren't just told what to do from the beginning. I spoke with her all the time, and her Japanese ultimately became better than my Thai. I think it's even more important for the teacher's Japanese to improve than it is for the students to improve. Nagaya: In my case, I worked entirely as a teacher's assistant. Meanwhile, I focused my energy on communicating Japanese culture after school, like with dinners as I mentioned before, though this wasn't necessarily an attempt to make up for anything. I don't think it's good to try too hard. Rather, it's best to maintain friendly interactions in Japanese language education. 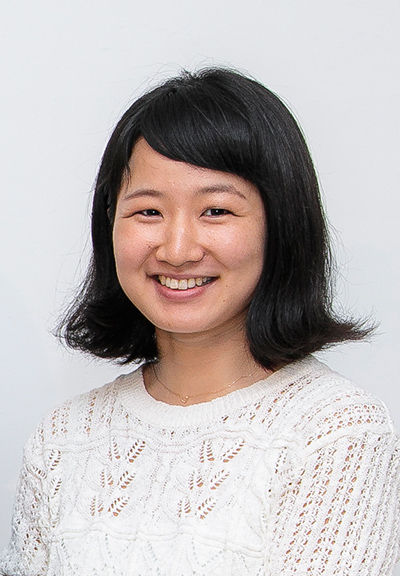 Shirakawa: It would be easy to feel overwhelmed when given the task of teaching a language, but I suppose there would be many ways to connect with students in that setting. For my final question, I would like all of you to tell me your reasons for applying to the program, and to tell me what you feel it is you've gained from the experience. 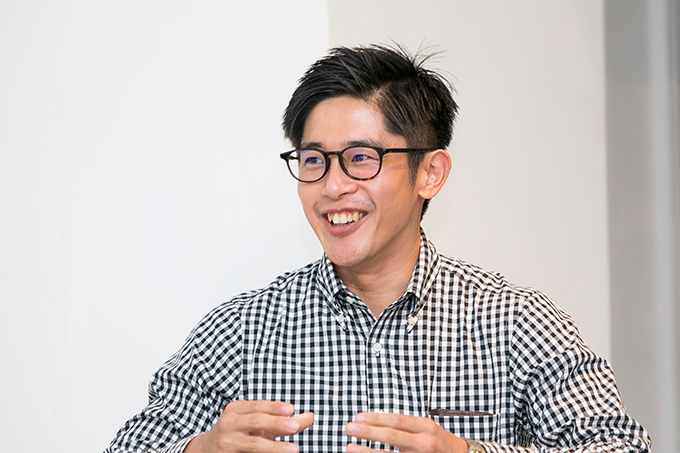 Nakamura: I had been thinking about changing jobs, and my initial motivation came from the idea that work experience in a vibrant Southeast Asian country like Indonesia would be a good resume booster for future job searches. To be honest, I wasn't really attached to Indonesia or Southeast Asia as a whole. However, when I learned the limitations of infrastructure in Indonesia, specifically that the sewage system had yet to reach all areas, I began to think that Japanese technologies and ways of thinking might be useful in helping to improve their standard of living. It felt as though my world had suddenly expanded. The company I work for now is a trading company specializing in chemical products. There is no domain in which chemical products aren't involved, including infrastructure, so I feel there might be something positive for the future of Southeast Asia in my line of work. Shirakawa: The challenges you found in the local region gave you direction for your future. 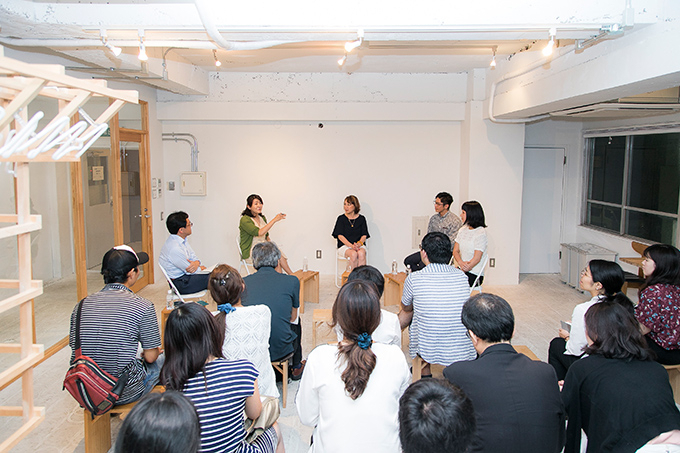 Nagaya: Before joining this program, I worked at a global company that handles Scandinavian furniture. I really loved the atmosphere, and that feeling hasn't changed, but when the organization is too big, it becomes hard to see your own contributions. I applied for the program out of a desire to do work through which I could interact with people on an individual level. Nagaya explaining why she decided to apply for "NIHONGO Partners". Shirakawa: What was different when you returned from Indonesia? Nagaya: I came to really love Indonesia, even though I previously hadn't known anything about it. I felt a strong desire to remain connected with the country in some way, which is why my current job is involved with providing employment and living support to technical interns who come to Japan from Indonesia. Shirakawa: Two of you left your careers to participate in this program. But Takahashi, I believe both your experience and background are quite different. Takahashi: I worked in marketing at a foreign company for about 20 years. My responsibilities to my family were lessened when my children grew up, so I decided to choose a lifestyle that benefits Japanese society. I just happened to become aware of "NIHONGO Partners" at that time, and it reminded me that I had once wanted to be involved in education. I decided to quit my job and dive right in. My previous job was related to military aircraft, and therefore associated with the Japan-US security alliance, but I believe that from now on the relationship between Japan and Southeast Asia will grow in importance. I also feel that soft power will become an important element in that. I think it was the idea of the "NIHONGO Partners" program as a sort of security alliance for soft power that motivated me to apply. Shirakawa: That became your motivation for taking a new step in life. Do you work in an education-related field now? 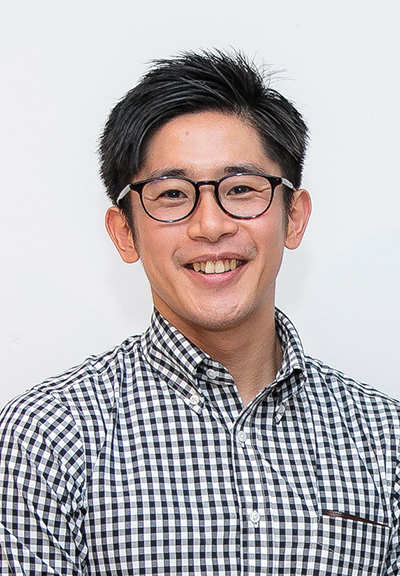 Takahashi: While I'm not there yet, I plan to expand into educational activities as I work to support small to mid-sized companies that are trying to enter overseas markets. 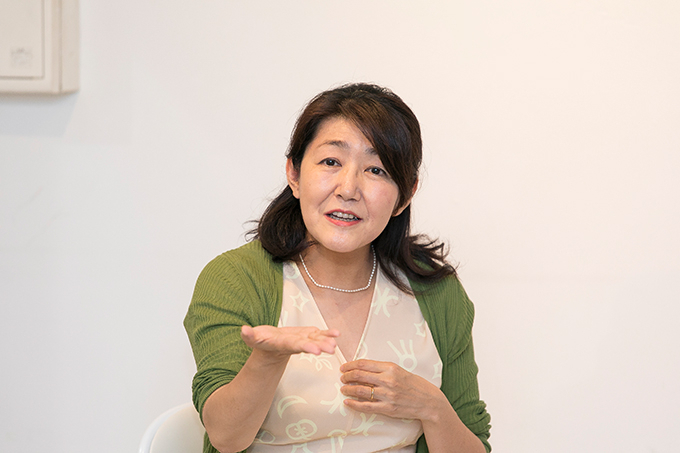 Shirakawa: Currently, many Japanese companies have re-employment programs, and there is an increasing amount of guidance for people changing jobs. It used to take a lot of courage to quit your job and go overseas, but we are perhaps entering an age where that will be an advantage. I think it's wonderful to take advantage of "NIHONGO Partners" as an opportunity that is a part of that current. Thank you all, for speaking about your valuable experiences. Born in Tokyo, Toko Shirakawa attended Futaba Gakuen and graduated with a major in Sociology from the Keio University Faculty of Letters. 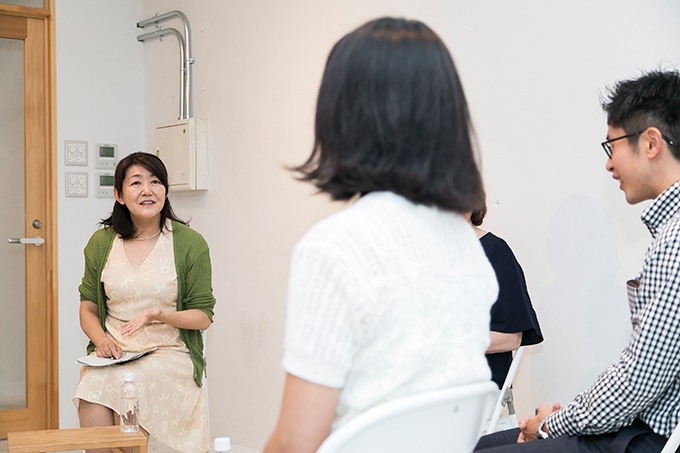 She became a writer after working at the Sumitomo Corporation and a foreign financial company. She writes about key topics for women such as marriage, pregnancy, job hunting, and career planning. She triggered a trend in marriage hunting by popularizing the Japanese word konkatsu together with Professor Masahiro Yamada of Chuo University. Her writing themes include countermeasures for the declining birthrate, life-design for women, career planning, equal gender participation, the promotion of women's involvement in society, infertility treatments, work-life balance, diversity, and improving working styles. 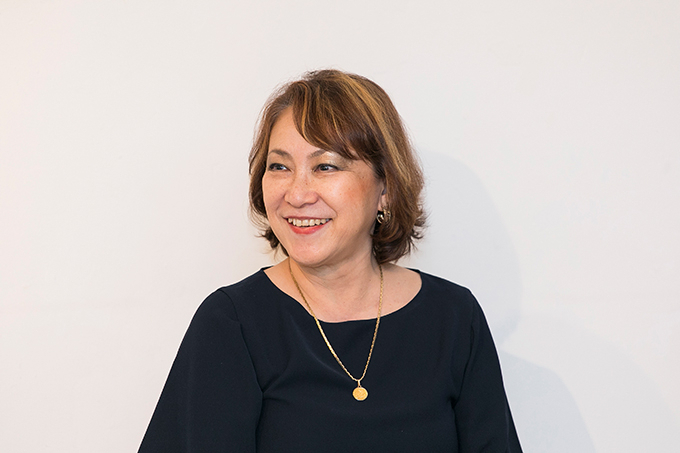 Mitsuko Takahashi was born in Tokyo and worked in marketing and public relations for foreign companies in Japan. She was assigned to work in Chonburi Province, Thailand for about six months after applying for the "NIHONGO Partners" program. 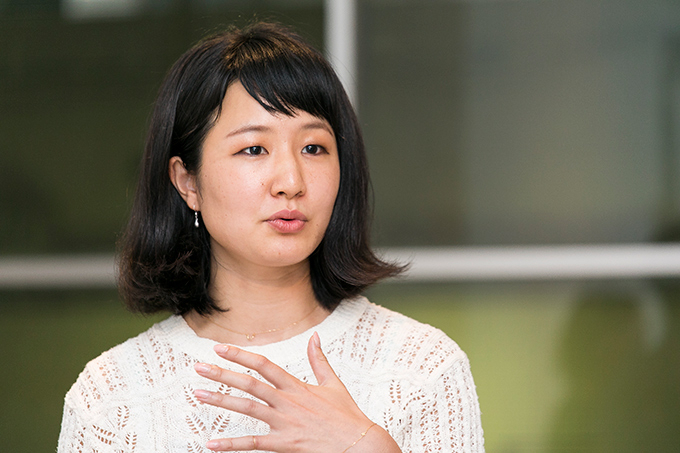 After returning to Japan, she founded her own company to provide consulting services for small to mid-sized companies that plan to enter foreign markets. Born in Tokyo, Masanari Nakamura worked in corporate sales at a travel agency for two years after graduating from university. He subsequently applied to the "NIHONGO Partners" program and was assigned to Sidoarjo in East Java Province for approximately eight months in the program's third year. After returning to Japan, he was put in charge of the Southeast Asia region at a trading company specializing in chemical products. 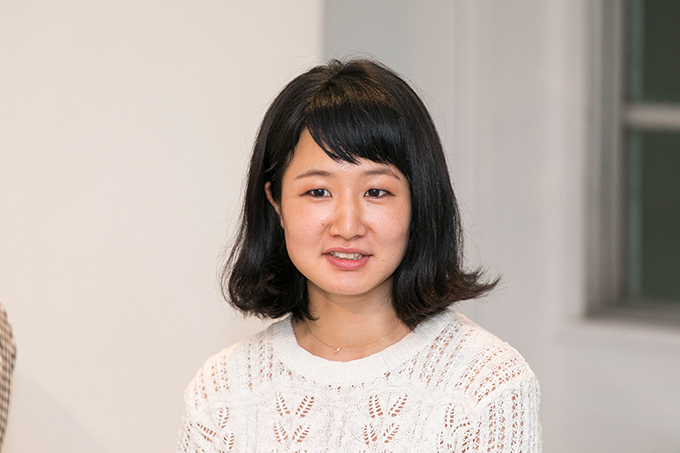 Born in Tokyo, Nanae Nagaya worked as a sales clerk at IKEA Japan after graduating from university. She was assigned to work in Yogyakarta, Indonesia for seven months under the "NIHONGO Partners" program. After she returned to Japan, she took a job at a public foundation providing support for the hosting of technical interns from Indonesia.